high-tensile steel, Soul earned five stars in the frontal and side impact tests and four stars in the roll-over test. 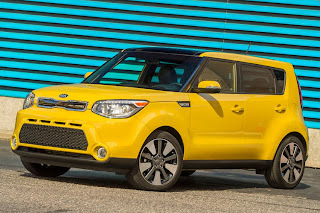 "Soul's 5-star safety rating speaks to Kia's commitment to our customers. Our vehicles combine top-level safety with iconic design, world-class quality and, of course, the outstanding value for which our brand is well known," said Michael Sprague, Executive Vice-President, Marketing & Communications, KMA. "We took a great deal of care with the design and engineering of the second-generation Soul, and NHTSA's testing has validated that effort."